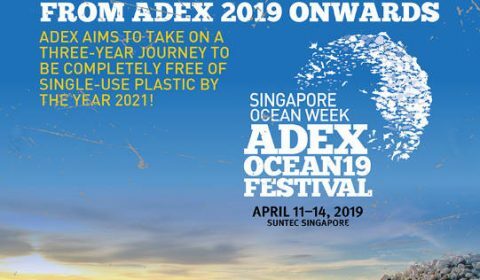 CoralGardening will be at ADEX Singapore from April 11-14 to inspire you to be an ambassador for plastic free coral reefs! 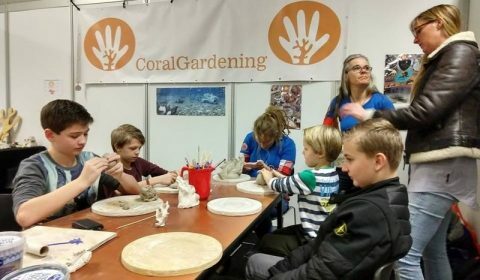 With a team of enthusiastic volunteers, we informed countless visitors of the Duikvaker about the dream of CoralGardening: a healthy and plastic free ocean. Coral reefs are and have always been very fascinating. They are a wonderful world that is not accessible to everyone. This is why extra attention is now being given to coral at the Duikvaker Dive exhibition. We are, of course, present yet again! Coral Day: Coral in the spotlight! 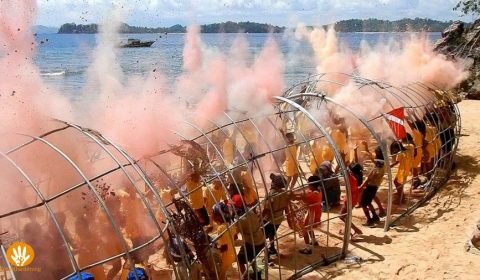 Once a year, on Bangka Island, they Celebrate Coral Day! The festival is organized in order to increase awareness of the importance of coral reefs. Every year a new section of artificial reef is deployed. This year the reef is the “The Domus Hippocampi,” it is designed by Teguh Ostenrik. 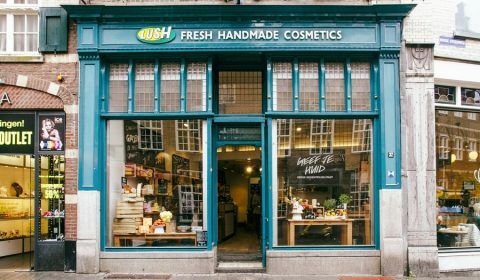 CoralGardening will tell her story at a very peculiar place: the Lush shop in Den Bosch! A volunteer will tell you all the ins and outs of the work CoralGardening is doing and why this is necessary. 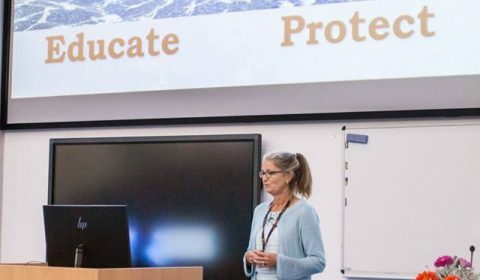 Ingrid van Beek of CoralGardening gave a lecture about coral reef restoration, at the Global Biodiversity Conservation Conference organised by the University of Life Sciences in Prague. 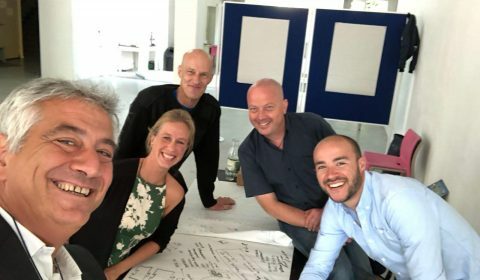 GBCC connects people with different backgrounds and conceptions to come out with sustainable solution for biodiversity conservation. My first time to World Ocean Day was a beautiful day; with friendly encounters, lots of information and interaction. In the Ocean Floor Engineering Lab, during the Border Sessions, (inter) national experts discuss three questions: How can 3-D printing be used when making artificial reefs? How would a portable coral laboratory be developed, with which coral can be cultivated on the basis of sexual reproduction? How economically justified can oyster beds be laid in the North Sea? 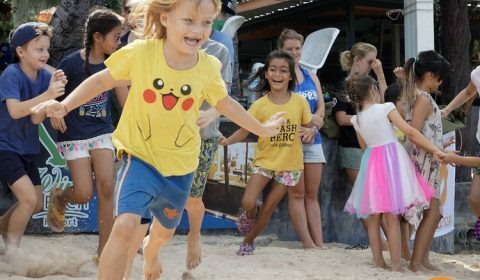 On March 29, it was a day full of eco activities on Koh Tao: EcoDay. 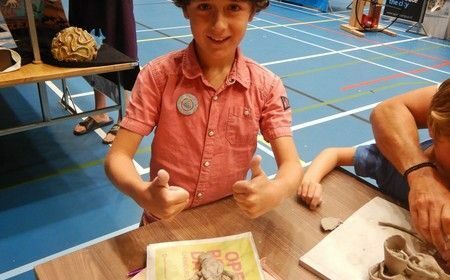 We are used to giving workshops for children, but this time it is different. They played different games to learn more about ocean life. 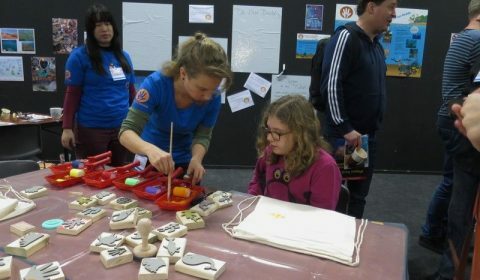 The adults were not allowed to play and were given various lectures about the ocean. In the afternoon there were several clean-ups and building the artificial reef.